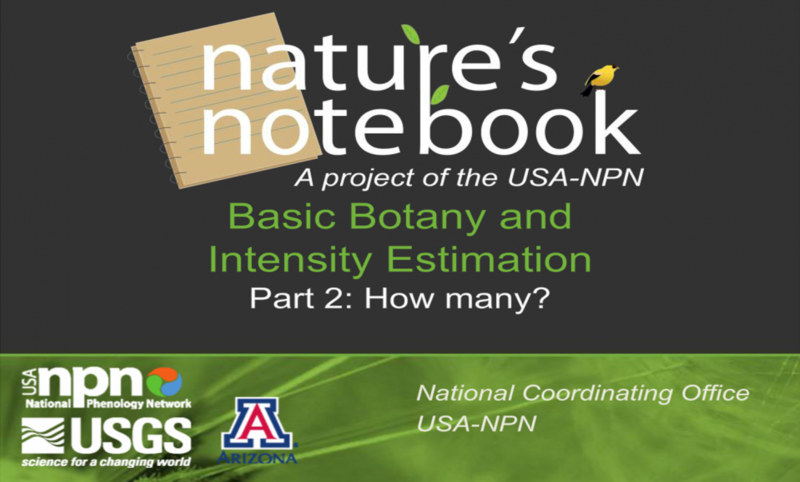 Test your knowledge of the Nature's Notebook plant protocols in this series of quizzes! The Nature's Notebook plant protocols ask you a series of questions about the presence of phenophases and the degree to which these phenophases are expressed, which we call intensity. This series of quizzes was designed to help you learn to identify phenophases and estimate intensity of your plants. As you will learn in these quizzes, estimating intensity can be tricky. While the questions in the quizzes below present the single answer we feel is most correct, you might find that in your actual observations of your plants, more than one answer is possible. Give your best estimate, and don't be afraid to mark a ? or uncertain until you get to know your plants! NOTE: The videos play best using the Firefox OR Safari browser (instead of Chrome or Internet Explorer). Make sure your browser is up to date and make sure your Adobe Flash Player is also up to date. The videos run on the Adobe Captivate Software and require that to be updated to proceed. Learn why we select the phenophases in the Nature's Notebook protocols, and the different types of intensity questions we ask you. This section is just an overview and does not contain any interactive quizzes. In Part 2, we look more closely at the questions whose answers contain counts in number bins. This part covers how many buds are breaking? 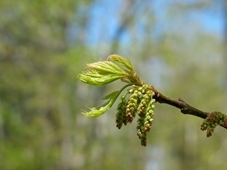 How many flowers or flower buds are present? How many fruits? And How many ripe fruits recently dropped? In Part 3, we look more closely at the questions whose answers contain percentage bins.This part covers what percent of flowers are open, and what percent of fruit are ripe. In Part 4, we look more closely at percent canopy cover.This part covers what percent of the potential canopy space is full with leaves? What percent is full with non-green leaf color? And what percent of the plant is green, which we use for grasses. In Part 5, we look more closely at the categories of leaf size and pollen.For the phenophase intensity question about leaf size, we use the same percentage bins as for open flowers, ripe fruits, and leaf canopy.